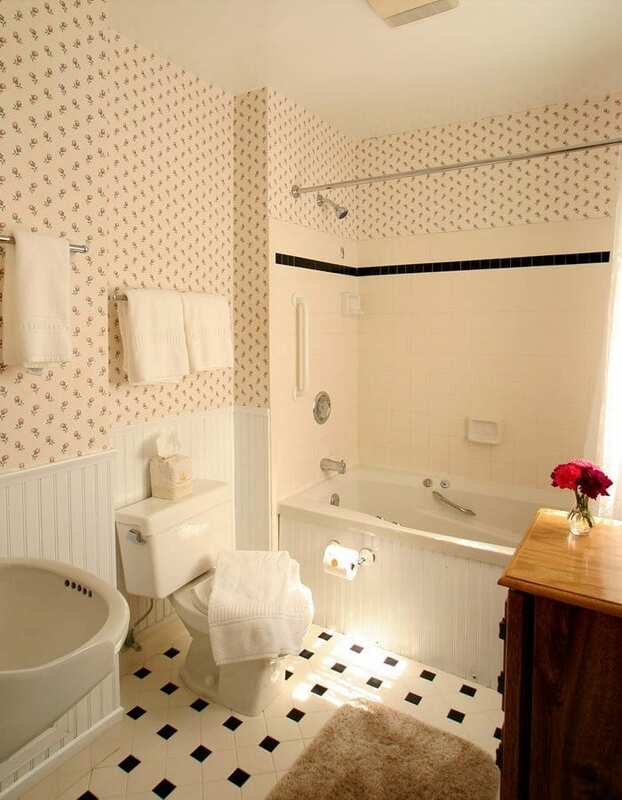 Bloomsbury is a premium room located on the second floor of our Prince Albert Hall building. 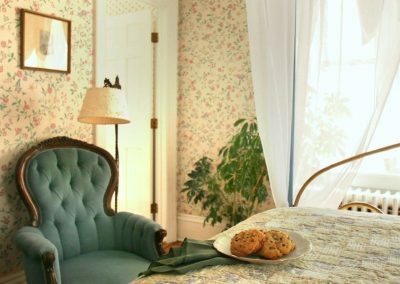 Bloomsbury is a very bright, cozy room at our bed and breakfast in Cape May with two large windows in the room and another in the bath. 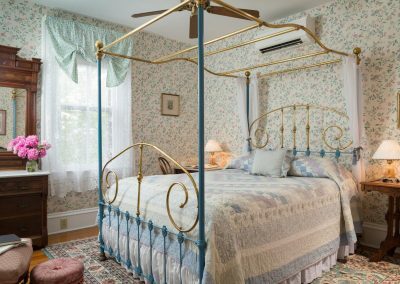 The canopy bed, period Victorian Eastlake dresser, and comfortable Victorian seating make this room a favorite for many of our guests. 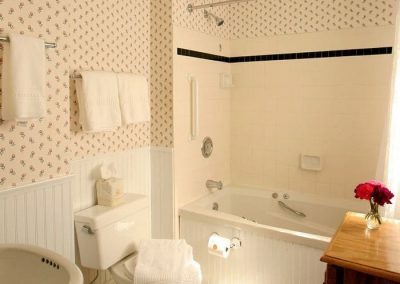 Bloomsbury’s bathroom has a one-person whirlpool tub for you to luxuriate in after your day in Cape May. 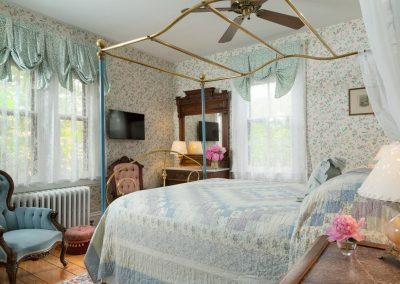 The afternoon glow from the sunset falling below the scenic rooflines of Decatur & Jackson streets is magical in the Bloomsbury suite. 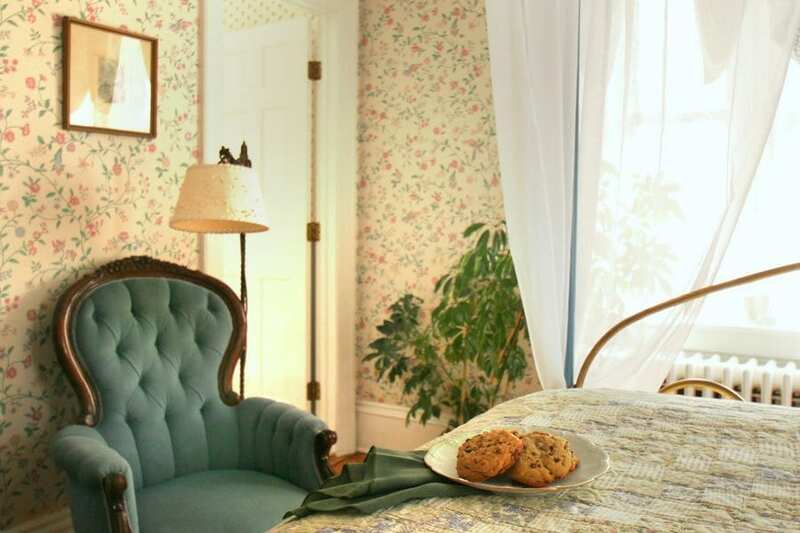 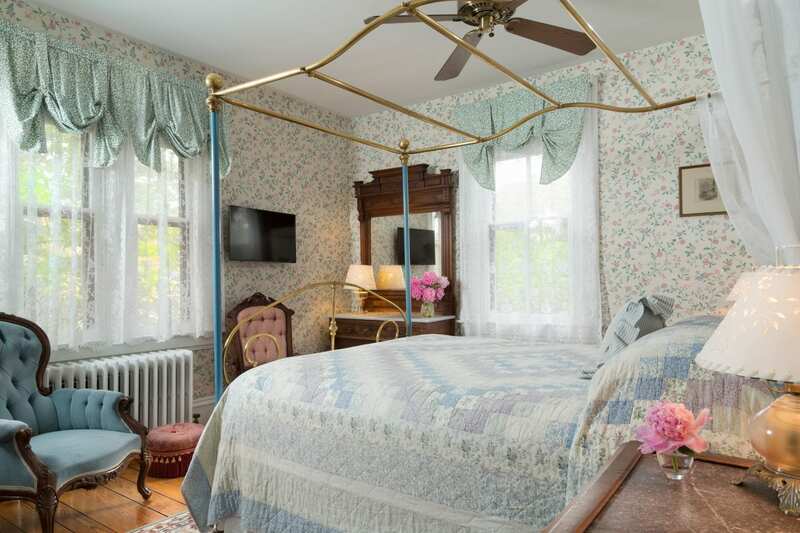 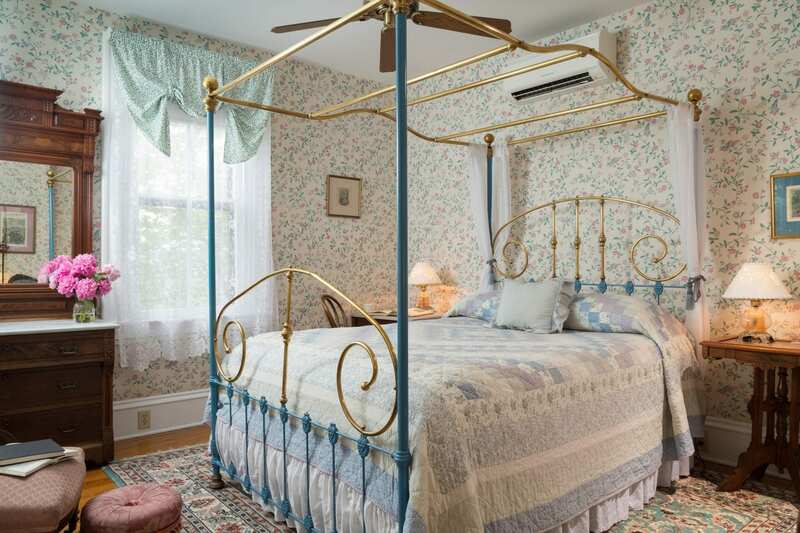 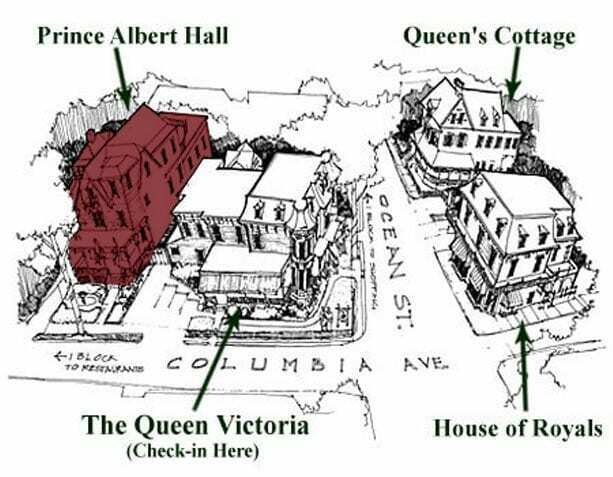 The Queen Victoria Boomsbury room is a cheery Cape May Bed and Breakfast room with climate control (heat & air conditioning), a refrigerator, a TV with DVD, a hair dryer and an iron are provided for your comfort & convenience.